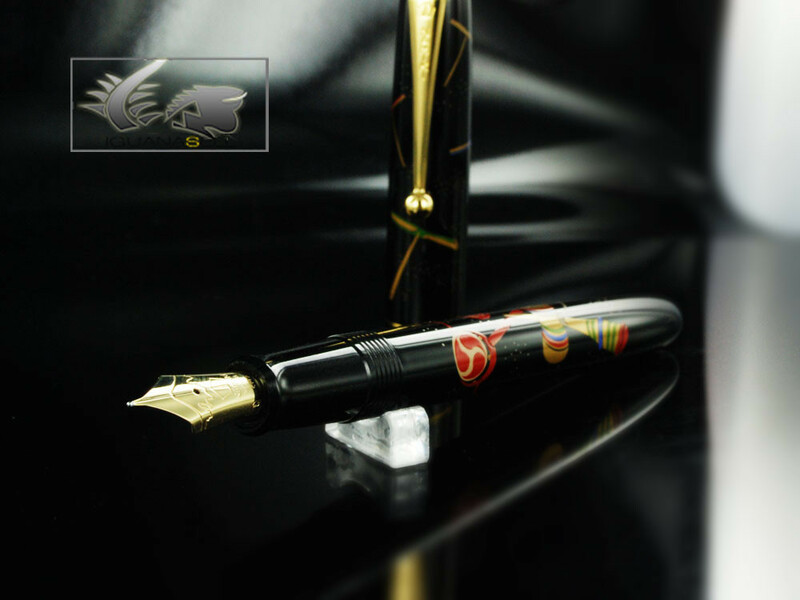 Namiki Pens are proud to export the Japanese culture in their series of fine writing instruments. The Nippon Art line, which is finished in high quality Hira-Maki-e lacquering, representing important aspects of Japanese culture and tradition, fully accomplishes this purpose. This brilliant and joyful design presents a Kendama, or a traditional Japanese toy. The toy is made of pole on which a ball is attached with a string or cord, and bears similarities to the classic cup and ball game. In order to make a tribute to this traditional Japanese game, skilled Japanese artisans have hand-painted images of these toys along the pens barrel using Hira-Maki-e technique. 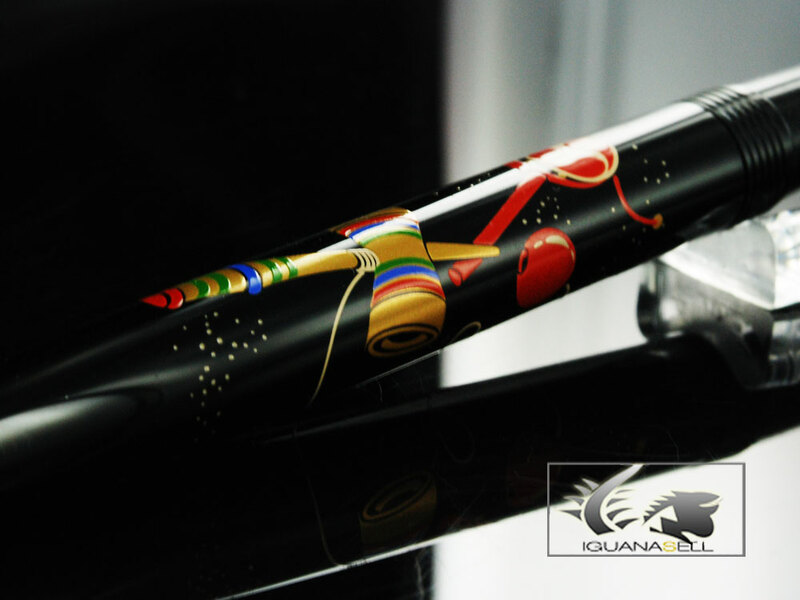 The hand painted design on this Namiki Nippon Art Maki-e Toy Kendama Pen are made of multi-layered patterns which are drawn on the barrel and cap using Urushi-sap from lacquer trees of Japan. This design is available as a fountain pen with a 14K gold fine or medium nib, and as a roller ball pen with smoothly flowing ink. This piece includes a genuine Namiki push-button plunger-vac style piston converter and each pen comes attractively packaged in a traditional Asian wood gift box for a nicer and more authentic presentation. 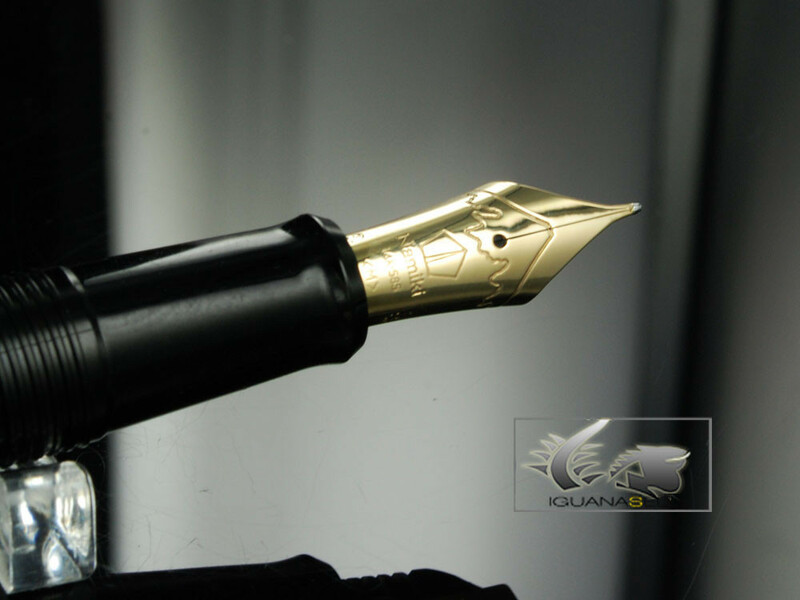 Other Namiki Maki-e Nippon Art fountain pens are available at Iguana Sell. If you are interested in other designs reflecting characteristic elements of the Japanese life-style don’t forget to visit us!